What better way for dogs to stay cozy and warm than with our super-soft, curly fleece Zack & Zoey® Elements™ Cuddle Bear Dog Jacket in Blue?! 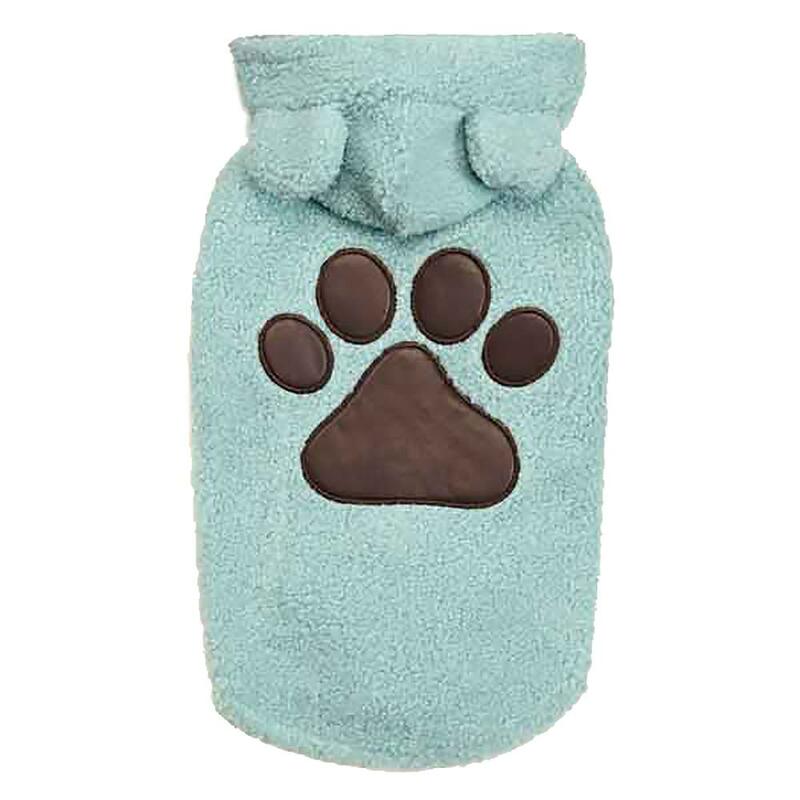 Our snuggly soft Zack & Zoey® Elements™ Cuddle Bear Jacket in Blue has an adorable bear-ears hood that will keep your pup prince feeling warm and looking stylish. 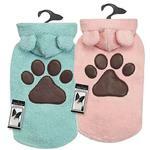 You'll love the super soft curly fleece material that dogs will find to be snuggly and warm this fall and winter. 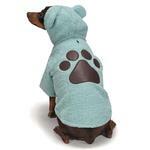 Zack and Zoey Elements Cuddle Bear Dog Jacket - Blue Customer Photos - Send us your photo! Posted On 03/25/18 by Amanda T from Lockport, NY Yes, Amanda T recommends this product! Very cute but a little smaller than measurements said. My bichi boy looks amazing in this paw print jacket. 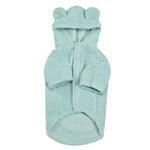 It is a great color and he loves sherpa so it is a hit. Posted On 01/17/18 by Kelley F from Iowa City, IA Yes, Kelley F recommends this product! Ordered 2 of these for my boys. They are super cute and snuggly. Only complaint is they are a bit long on the tummy (problem for the boys) and the velcro is still very stiff after washing. 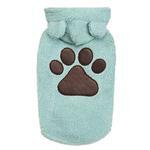 These would be best used on the boys as a coat, because we don't always remember to roll them up for potty breaks. My boys wear the small and they have 14-15" chests and are 11-13" long weighing 8.5-9lbs. Posted On 10/27/17 by Susan G from West Lawn, PA Yes, Susan G recommends this product! My hat guy will be content to wear this with the hood up for extra warmth and cuteness in the wintertime. His sister has the matching one in pink. It is soft and a nice length for coverage in cold weather. Wonderful quality, quick delivery, my dog LOVES his Squeezemeee Frog!